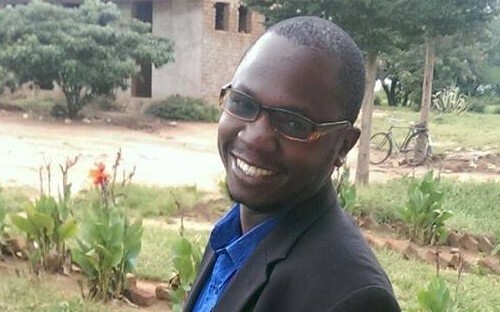 Born and raised in Tanzania, MBA applicant Josh Njogolo currently teaches economics, civics, commerce and business studies to public schoolboys near Dodoma, the East-African country’s capital. Working in a rural area with poor and disadvantaged children, it’s Josh’s responsibility to help them not only with matters of education, but in all aspects of their lives. At the same time though, his experiences in teaching have made him more ambitious in pursuing a career in the private or public sector. In addition to his BA from the University of Dodoma, Josh holds another BA in Public Administration and an MSc in Economics from the Open University of Tanzania. Never one to sit back, Josh is looking toward Europe’s top b-schools for his next degree, an MBA. Why do you want to begin an MBA now, and what are you looking to gain from it? We are living in an increasingly-globalized world, so having an MBA would be an asset to me. Owing to its rich oil and gas reserves, as well as its growing importance as a telecoms market, there are a lot of multinational corporations coming to Tanzania, putting it in a great position to lead Africa in these emerging markets. An MBA degree would help me to work with these companies, as well as boost my leadership and management skills. This is the perfect time for me to undertake one, and I’ll be able to maximize the value it brings to my career. After I attain my MBA and PhD in Management, which I hope to study afterwards, I’d like to move into the private sector, where I’d hopefully be qualified to work in anything from financial services to non-governmental organizations. I’d also very interested in teaching at business schools both here in Africa, and internationally. Which schools are you planning to apply to? Although AGSM Business School in Australia interests me, I’m largely looking towards Europe for my MBA. At the moment, I’m considering IESE Business School, Copenhagen Business School, INSEAD, ESSEC, HEC Paris and EMLYON in France, IMD Business School, SDA Bocconi and Bologna Business School in Italy, Nyenrode Business School, ESMT Berlin, and London Business School. What are the most important factors to you when choosing a business school? Funding opportunities for students from developing countries like me are crucial. Many people from Africa want to go to business school, but getting there is the hard part, although this is made much easier through the availability of scholarships and loans. Other things I consider important include the diversity of a school’s cohort, and alumni networks. What has been the biggest challenge in the application process so far and why? Weighing up the advantages and disadvantages of the GMAT and the GRE has been a battle for me. It’s also difficult as an African applicant to meet deadlines for specific schools, and it also takes more time and money to adequately prepare for the GMAT or GRE. How have you prepared for the GMAT/GRE? I’m still preparing to take the GRE at this point, which I chose because it comes across as more friendly to someone from a foreign country. I’ve been using a lot of online study materials and resources in my preparation so far. When it comes to the exam, I’ll probably fly to Nairobi to take it, as that’s the closest center to me. Does being an African MBA applicant present any unique challenges or advantages? African applicants face a lot more challenges than those from more developed areas, and many of these challenges are very unique to us. Aside from issues of securing funding, it takes a great deal of courage to study abroad and leave your family and friends behind for extended periods of time. Communication infrastructure is also very poor in many areas, so you often find yourself missing application deadlines for business schools or even just being unable to correspond with them. What advice do you have for others considering an MBA? As an African Applicant, I would advise people from my continent interested in going to business school not to jump at the first MBA you’re offered. It’s of paramount importance that you achieve an international student scholarship, as well as choose a program which you can, in part, fund yourself. I enjoy cross-country running, football and hiking, though I’m also keen on politics and taking part in volunteer activities in my community.